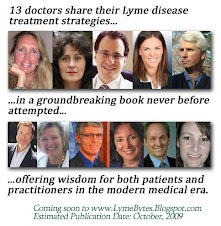 A site of encouragement, humor and information on Lyme disease and related syndromes. April, 2014- HELLO ALL! I am no longer posting to this blog. For the latest on me and my work, I invite you to subscribe to my NEW blog: www.conniestrasheim.blogspot.com where I share my latest findings on how to heal from chronic illness involving Lyme and other conditions. Thanks! Greetings and welcome to my Lyme disease blog, a comfy cozy (and sometimes crazy!) place for cutting-edge information, encouragement and insight into the fastest-growing epidemic disease in the United States. In this blog you will find everything from bug-killing strategies to immune system and hormone help, as well as lifestyle and spiritual suggestions for healing from chronic illness involving Lyme disease. The information contained within this blog is based upon my own healing journey and what I have learned over the past eight years as I have been diligently digging and researching my way back to a better state of health. May you find it to be a source of hope, inspiration and wisdom in your own journey towards wellness. About "Insights Into Lyme Disease Treatment"
Throughout my healing journey from Lyme disease, I have found depression to be one of the most disabling and challenging symptoms to treat. Living in isolation and suffering from a myriad of symptoms, as many people with Lyme do, would depress anyone, but when you add that to the biochemical problems that Lyme causes in the brain, depression can become overwhelming. Over the years, I have found that the usual solutions for treating depression have helped to mitigate my symptoms, but by themselves, have been insufficient. Anti-depressants helped me through the roughest of patches while healing from Lyme, but they only partially compensated for a biochemistry that had gone madly awry. Addressing the lifestyle factors which contributed to the condition was also helpful, and strategies such as prayer, getting enough sunshine, exercise, and having supportive friends all had positive effects upon my mood. Yet because I had a million pathogens making holes in my brain and depleting my body of serotonin and other happiness-inducing neurotransmitters, even these strategies only took me so far. About a year ago, while I was still taking antibiotics for Lyme disease (my doctor believes that my infections went into remission in November, 2010) my serotonin levels once again fell into the proverbial toilet. If 125-250 ng/ml is a normal range for serotonin on a blood test, my body was operating with levels that hovered around 30 ng/ml. My doctor thought it was a miracle that I was functional. Ironically, I had taken about 150 mg of 5-HTP, a serotonin precursor, for about a year prior to having my neurotransmitter levels tested, so I had expected my serotonin levels to be higher. Even worse, when I began taking antibiotics, I started to react negatively to 5-HTP and other amino acids. My doctor was perplexed. Because the antibiotics caused herxheimer reactions that made it difficult for me to sleep, I reluctantly began taking a low dose of amitryptilene, an anti-depressant drug, even though, five years into Lyme disease treatments, I was finally getting along fine without anti-depressant medication. In hindsight, I would never have started amitryptilene, because I have found it to be one of the most addictive drugs I have ever taken (even more so than benzodiazepenes). I attempted to stop taking it last November, after I finished my antibiotic course, and my body fell apart in every which way possible, even though I took a full month to wean off a supposed low dose of the medication. Further research has led me to conclude that anyone on amitryptilene and perhaps other anti-depressant drugs should wean off of them extremely slowly, or the body may crash into an even worse state than it was in previously. Contrary to what doctors may tell you, it can take six to nine months to successfully get off an even low dose of some anti-depressant medications. Anti-depressants change the chemistry of the brain, so when you remove them, the brain must remember how to function without them, and it takes time for it to restructure its processes. I don't think it's a good idea to take anti-depressants unless absolutely necessary, because of this factor, but I think they can be useful for people with Lyme, until their infections are treated and the brain has had a chance to heal. Because sometimes, the brain doesn't have enough neurotransmitter precursors or can't effectively synthesize them, until Lyme disease infections and other problems caused by Lyme are addressed. For this reason, amino acids such as L-tryptophan or 5-HTP may be inadequate for treating depression in Lyme disease. Not to mention that depression in Lyme disease is caused in part by neurotoxins, such as heavy metals, which must be removed from the brain if it is to fully heal. 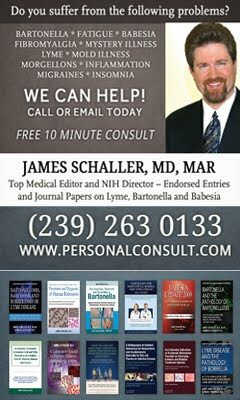 Complicating matters is the fact that 80% of people with Lyme disease also suffer from Kryptopyrolurria (KPU) (aka Hemopyrrollactamuria-HPU), a condition whereby the body doesn't effectively synthesize heme, and instead produces a mauve-like heme byproduct that binds to important minerals and carries them out of the body, resulting in severe mineral deficiencies. Two of the depleted minerals in people with KPU are zinc and Vitamin B-6, both of which are necessary co-factors needed by the body to produce serotonin (one of the brain's key neurotransmitters responsible for mood and other functions) along with magnesium and Vitamin C. Without these, the body can't utilize 5-HTP or L-tryptophan, the amino acids from which serotonin is made. Therefore, treating KPU with high doses of these minerals can enable the body to more effectively synthesize serotonin from 5-HTP and L-tryptophan. Furthermore, minerals liberate heavy metals from the brain, and when an effective heavy metal removal protocol is undertaken in conjunction with mineral supplementation, depression may be further alleviated as a result of removing these toxins from the brain. Problems synthesizing serotonin and other neurotransmitters don't always end here, though. People who suffer from adrenal fatigue, which is many with Lyme disease, may not be able to effectively utilize Vitamin B-6 and produce serotonin from it. Gerald Poesnecker, ND, in his book, "Chronic Fatigue Unmasked" discovered that when he gave his adrenally-fatigued patients Vitamin B-6 in the form of P-5-P, or pyridoxal phosphate, along with L-cystine (not L-cysteine), they were better able to synthesize serotonin. Therefore, taking 5-HTP, along with these two ingredients, may be helpful for some people. The body may also fail to make serotonin and other happiness-inducing neurotransmitters when gut flora gets depleted by antibiotics. Since 80% of the body's serotonin is produced in the gut, an imbalance in its flora can cause problems with neurotransmitter synthesis; therefore, taking a probiotic containing multiple strains of baceteria may be another important step to healing depression. Methylation problems also contribute to inefficient neurotransmitter synthesis. Doing a protocol for KPU may correct some problems of methylation, since methylation is dependent upon the presence of certain minerals, but supplementing with methyl donors may also be necessary. One of the principal methyl donors involved in neurotransmitter synthesis is SAMe. SAMe can be taken as a supplement, although trimethylglycine also increases SAMe levels. Methionine is also an essential amino acid from which SAMe is made. Folic acid and cobalamin B-12 likewise support methylation, and N-acetyl-cysteine is amino acid that enhances the bioavailability of methionine. Yet another remedy which may help to combat depression is St. John's Wort, an herb which contains hypericin, a substance that increases the concentration of serotonin in the central nervous system, and inhibits two enzymes responsible for its breakdown. While taking nutrients is important for healing depression in Lyme disease, removing pathogens and toxins from the brain is just as important. Toxin removal may involve taking heavy metal chelators and binders such as cilantro, chlorella, alpha-lipoic acid, and DMSA, along with other binders such as apple pectin and activated charcoal. As heavy metals and Lyme neurotoxins get carried out of the brain, over time, the brain will heal. Taking lithium orotate may also be helpful for treating depression in Lyme, as it protects the brain from the effects of Lyme neurotoxins, as may taking resveratrol, which increases microcirculation and therefore, brain function. Other brain nutrients, such as omega-3 fish oils and phosphatidyl-choline, help to rebuild the brain after it has been damaged by Lyme disease, and over time, can help to improve mood and cognitive function. Maintaining an organic, gluten-free, dairy-free, and sugar-free diet high in complex carbohydrates and healthy fats, along with moderate amounts of animal protein, also helps provide the brain with the nutrients that it needs to function optimally. The thyroid and adrenal glands also play a critical role in brain function and mood, so ensuring that these are functioning optimally (through strategies that I have mentioned in previous posts) is also important. Of course, as long as the body is fighting Lyme disease infections, the adrenal glands may be compromised, but supporting them is yet important. As a side note, some people with Lyme disease produce antibodies to neurotransmitters and hormones. Where this is the case, homeopathic and bioenergetic remedies may reverse the problem. Deborah Metzger, MD, in Palo Alto, CA, develops remedies to reverse serotonin and other allergies, and will do phone consults for those interested in learning more about how to reverse auto-immune processes. Finally, bioidentical serotonin is a fairly new treatment that may help some people, but its long-term effects are unknown. I once tried a low dose of bioidentical serotonin and reacted badly to it, but others may have a more positive response. Some government-sponsored websites contend that bioidentical serotonin doesn't cross the blood-brain barrier, but some doctors, such as Kent Holtorf, MD, www.holtorfmed.com, have found it to be useful for their patients. Many solutions exist for healing depression in Lyme disease, but finding the right one depends upon accurately discerning the principal causes for the depression (which, in my experience, are usually multiple). Acupuncture, for instance, may be a helpful alternative treatment for depression, but if the body is missing the raw materials that it needs to produce neurotransmitters, no amount of acupuncture or other energy-balancing treatments will fully resolve symptoms. Studies have shown that prayer and meditation, and being consciously aware of one's thoughts, can positively alter brain chemistry. My experience has been that these practices are fundamental for healing, but by themselves, may be insufficient, if the brain is severely deficient in nutrients, is dealing with a multitude of toxins and/or pathogens, or cannot effectively synthesize and utilize the biochemicals it needs. Still, they are a vital component of recovery, and I highly advocate them, along with the other above-mentioned strategies. Seven years ago, when I was first diagnosed with Lyme disease, I suffered from off-the-charts anxiety and depression. I cried daily for years, even while taking anti-depressants, until the root causes of my depression were addressed. Over the past seven years, I have experienced tremendous healing from this condition. I am still healing my brain from the effects of Lyme disease, toxins, past traumas, and KPU (kryptopyrolurria), but life is infinitely easier than it used to be. Healing from depression is possible, with a little perseverance, attention to its causes, and when knowledgeable practitioners are available to assist with the healing process. Unfortunately, I have never found a doctor in my geographical region who has understood this condition well enough to adequately help me heal my own depression, but through my research, I have discovered solutions that have helped to restore me to a better state of health. I pray that the knowledge that I have acquired through my own healing journey would help you, too. Thanks Connie, for your post and some great reminders about how to keep healthy "post-Lyme". Must admit that after going off ABX last year myself I have slacked off quite a bit. I'm at the point now where I realize that I'll never be able to eat, drink and stress myself out like a "normal" person, and get away with it. Time to get back on track, and accept my condition as permanent, but manageable...IF I put in the effort. So, thanks so much for the encouragement. It's always great to know you're not alone in this thing. What a great article! Thank you . Keep charging everyone -- this disease and effects really do force you to get back to the basics and learn to live a simpler life. I'd also add my two cents --- excercise daily for 45 minutes minimum no matter.what! I agree that exercise is also good for healing depression and the body in general. Thanks for your encouraging words. very informative post. Thanks Connie. I live in Denver. Looking for a LLMD do you know of any you could recommend? Shawn Naylor, DO, of Sound Clinic: www.soundclinic.com is good. He is in Denver. As Seen On TV spot we’re confident you will find what you’re looking for. As Seen On TV products available. secure ordering options to ensure our customers have an optimal shopping experience. I am just curious how you are doing now with anxiety and depression? And how are you doing with Lyme? Are you still in remission and do you still have to take the anti-depressant or are you off it? thanks really to the news ... hopefully more successfull. Bannerizer made it easy for you to promote ClickBank products using banners, simply visit Bannerizer, and get the banner codes for your favorite ClickBank products or use the Universal ClickBank Banner Rotator Tool to promote all of the available ClickBank products. Click on the icons below to learn more about my other books! Discover healing through God's love and supernatural power in this long-awaited book! For more information or to purchase, click on the book icon above or visit: http://www.healingchronicillness.org. 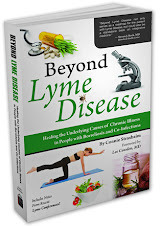 "...The Lyme Disease Survival Guide: Physical, Lifestyle, and Emotional Strategies for Healing" is a must for anyone who has unfortunately been afflicted with this ailment." My New Blog: "God In The Wilderness"
The 18 Reasons Lyme Treatments Fail...According to James Schaller, M.D. The information contained within this blog is not intended to diagnose or treat any disease, but is for informational purposes ONLY. Information contained within this blog is only the author’s humble opinion and should not, in any way, be taken as medical advice. Please consult a licensed health care practitioner for all of your health care needs.